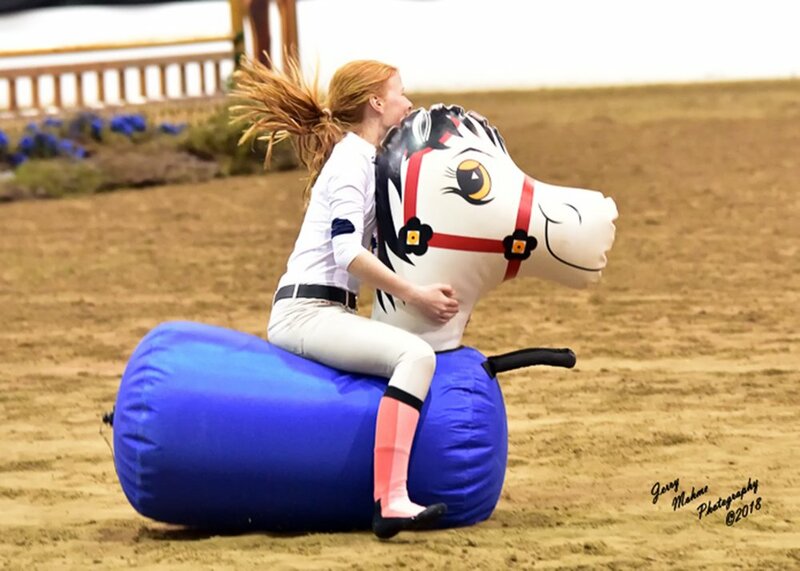 spring classic horse show will be on may 18-19, 2019 in katy, tx at the gswec. ***IMPORTANT UPDATE FROM THE SHOW VENUE: All horses (showing or non-showing) coming on Great Southwest Equestrian Center property must have a health certificate written within seven days upon arriving on GSEC grounds. The health certificate must state that for the past 30 days the horse has not been treated or seen for an elevated temperature (in excess of 102 degrees) or exhibited any symptoms associated with an infectious disease. All horses must be accompanied by a copy of these health papers (current Coggins, proof of vaccination for Equine Influenza and EHV-1 or EHV-4 within six months of entry and a health certificate). Please have a copy to give to show personnel. Horses without these health papers may be asked to leave GSEC property. Any breed/Any age handler…dress in your Debutante best to present your horse for the title of 2019 TASHA Pageant Queen or King! Bonus points awarded to RESCUE Horses & Handler’s Debutante themed costumes. $50 entry donated entirely to SBR. Be ready for interview questions in the line-up! See full description and entry form for more details. Form a team for a relay race! Collect sponsorships (minimum $50 to enter) and get ready to Hop to a cash prize!! Top two teams with the most sponsorships will get a 10 second head start. See full class description and pledge form for more details. We want the TASHA youth to try their hand at judging based on US Equestrian guidelines. Sign-up before the show at the TASHA merchandise table to receive your rules & instructions. Please join us ringside on Saturday evening for a wine & appetizer reception (water also provided). On Sunday, we will serve boxed lunches for all exhibitors & barn staff during the break. Show profits and some merchandise sales will be allocated directly to our annual donations to these amazing organizations! Plus all the usual exciting American Saddlebred Performance classes and Academy classes!!! Plan your trip now—we’ll see you in KATY!! What a great event!! We came, we saw, we ATE!! This was a fun couple of hours of camaraderie and best wishes for a successful Pin Oak! Thank you to our sponsors who make it possible for TASHA to host this event. A presentation ceremony is scheduled for Friday March 22, 2019 during the saddlebred evening show at the Pin Oak Charity Horse Show in Katy, TX. More details coming soon! The membership of TASHA, LASHA, and NTASHA have approved a brand new awards program which begins THIS YEAR!! Details are being worked out, but as of now, to be eligible, you only need to be a member of ONE of the charter clubs: TASHA, NTASHA, or LASHA. Then, just exhibit your horse at any of the shows listed on the calendar and you will accrue points toward the year-end awards. Please like & follow the Southwest Circuit Facebook page to stay informed of updates. If you did not attend the TASHA Holiday show December 1-2, you can still join TASHA anytime using the link on our Membership page. OR, attend the next show on the calendar: Louisiana Carnival Show in February, and join the LASHA club. Details to join NTASHA are also on their website. Can you Leave a Legacy?? The all new TASHA Legacy Trophy program will debut at the December show. Patrons will be able to select from a list of classes to award either a perpetual or challenge trophy to the winner. Trophies will be stored by TASHA and presented every year in December at the sponsor’s direction. These trophies will add some history and honor to the show! The full details of the program are available by clicking here.